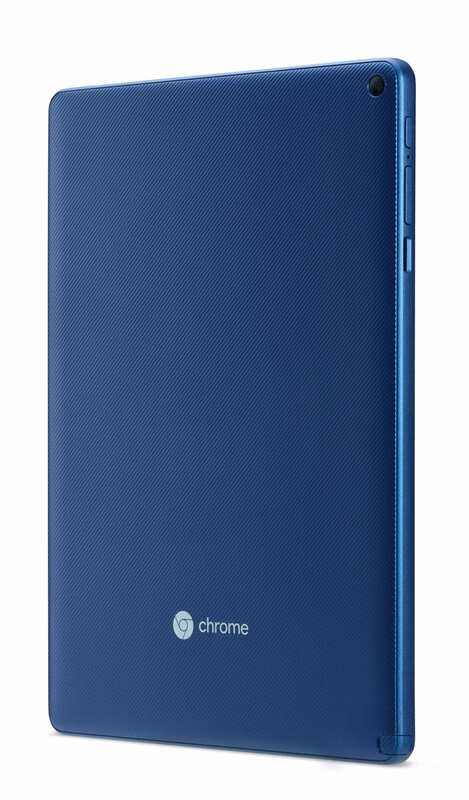 Well folks, the long wait for the first Chrome OS tablet has finally come to an end. 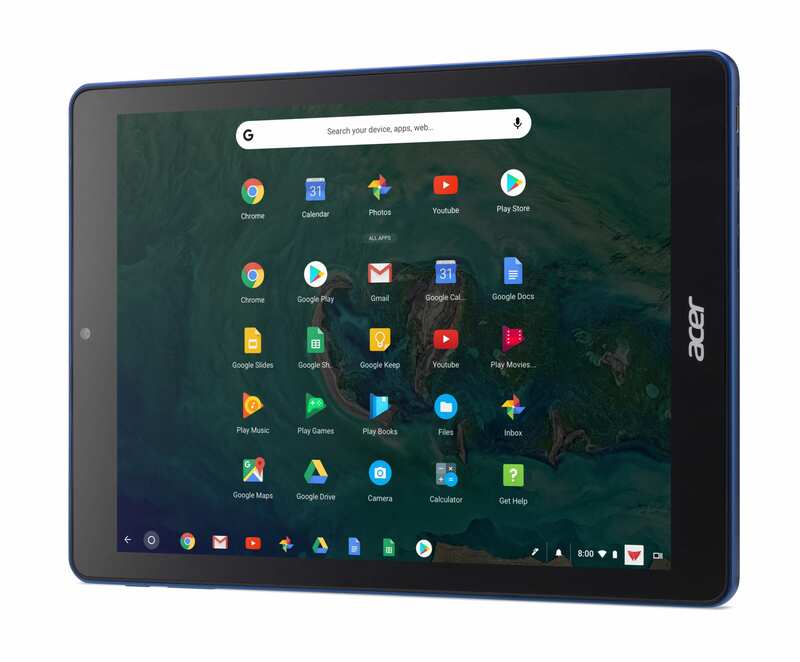 We’ve had to sit on this for a few days, but we’re so excited to announce the official unveiling of the Acer Chromebook Tab 10. 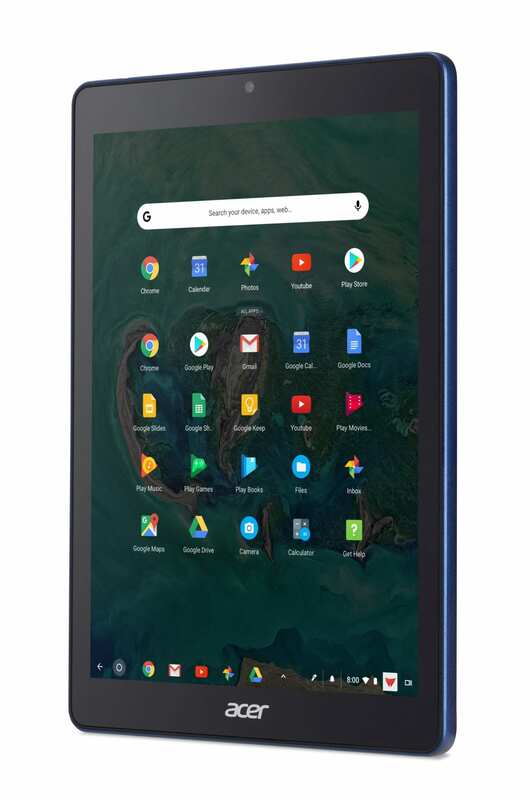 Sure, we saw some leaked images and we’ve known for some time what this device would show up packing (we’ve been tracking ‘Scarlet’ for over a year, after all), but it is so refreshing to finally know that the first Chrome OS tablet is finally going to be widely available in April. Acer’s press release doesn’t give us a firm date at this point, but April is the launch target and Acer is quite good at landing inside its own predefined windows. Additionally, though this one is being targeted towards the education sector, the availability is slated to be for both commercial users and educators alike. 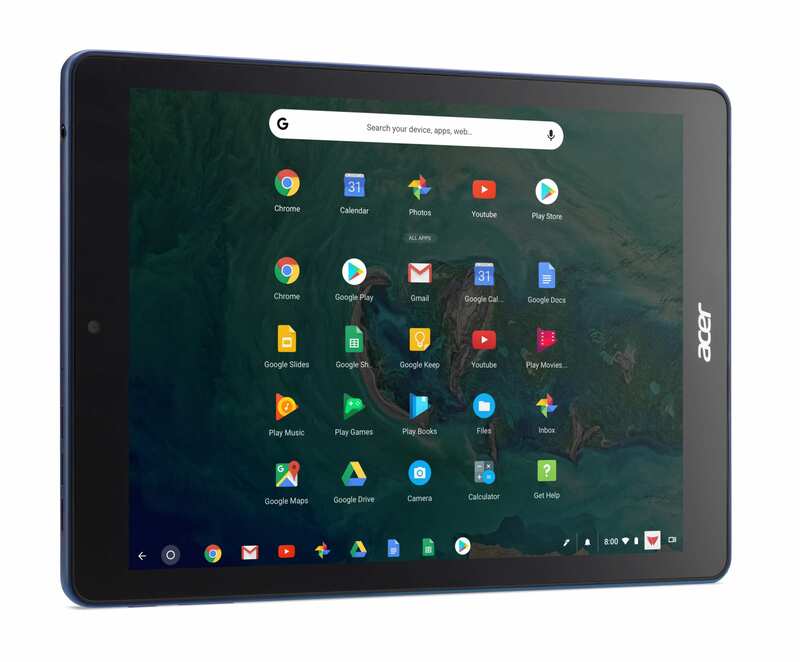 We’ve tossed quite a few names around regarding Chrome OS tablets, but it looks like Acer went with something we didn’t really expect. 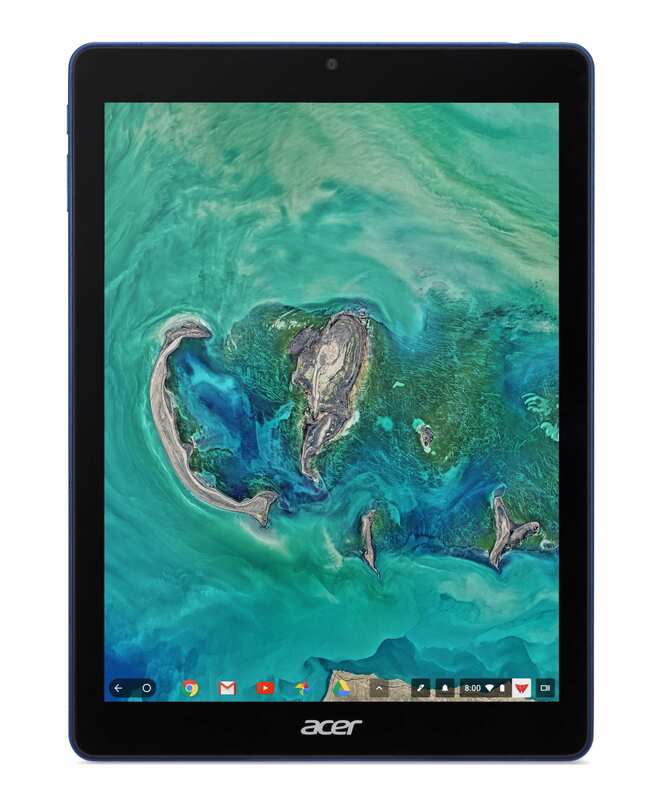 Acer Chromebook Tab. I’m not a huge fan of the name, but I suppose the Pixelbook has ushered us into a new realm of Chromebook naming. I’d assume that manufacturers will feel the freedom to name devices anything they like at this point. 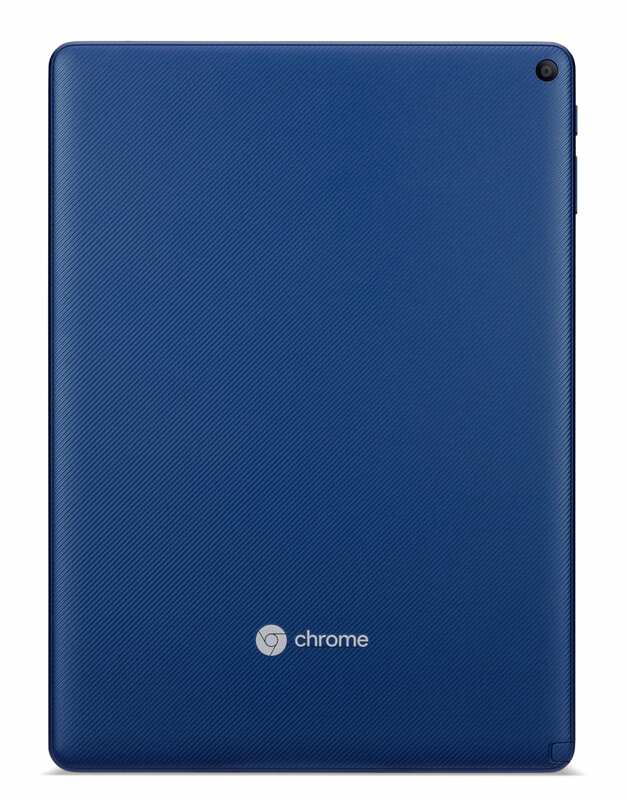 Pixelbook clearly has no nod to “Chromebook” in the title, but it is most definitely a Chromebook. 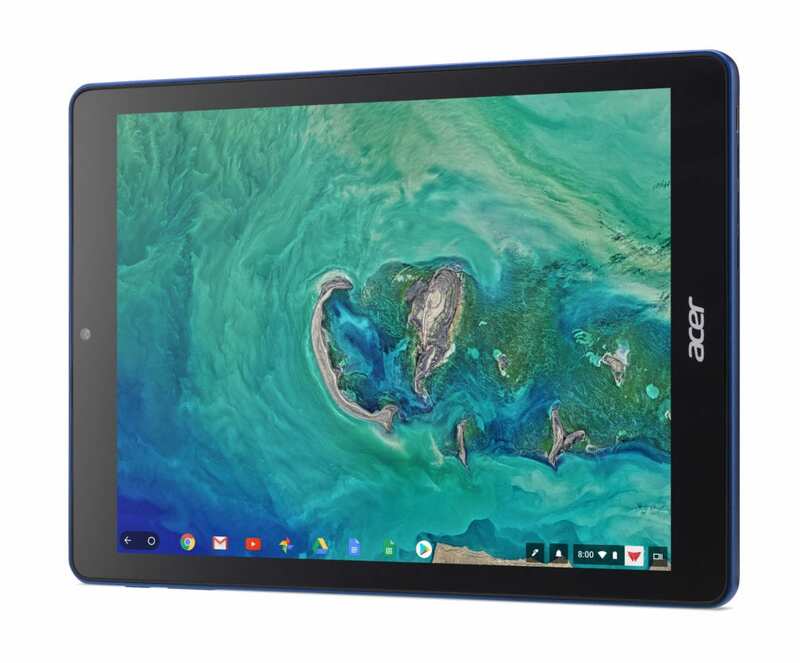 Instead of taking that route, Acer has chosen to keep “Chromebook” in the name. Sure, it feels a bit odd, but we’re in a bit of odd territory here, aren’t we? If some of that spec sheet looks familiar, it should. 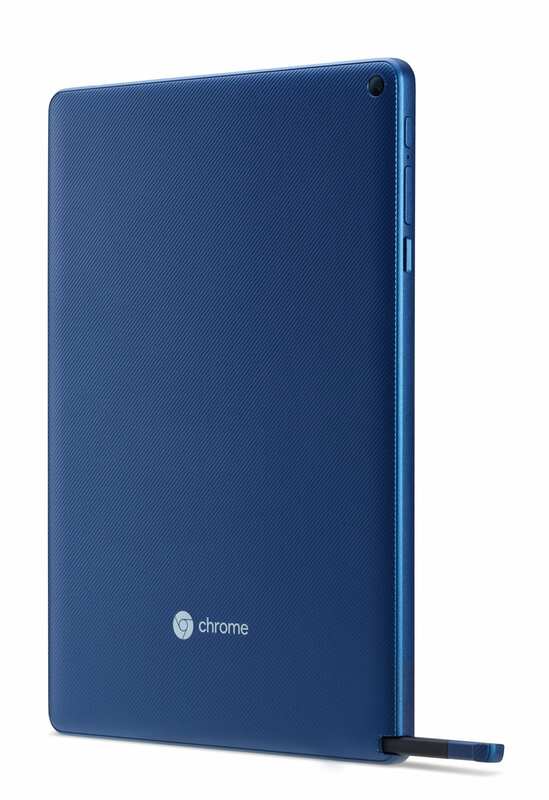 The internals on this thing are very similar to the Samsung Chromebook Plus. The biggest differences are weight, screen size, and resolutions. 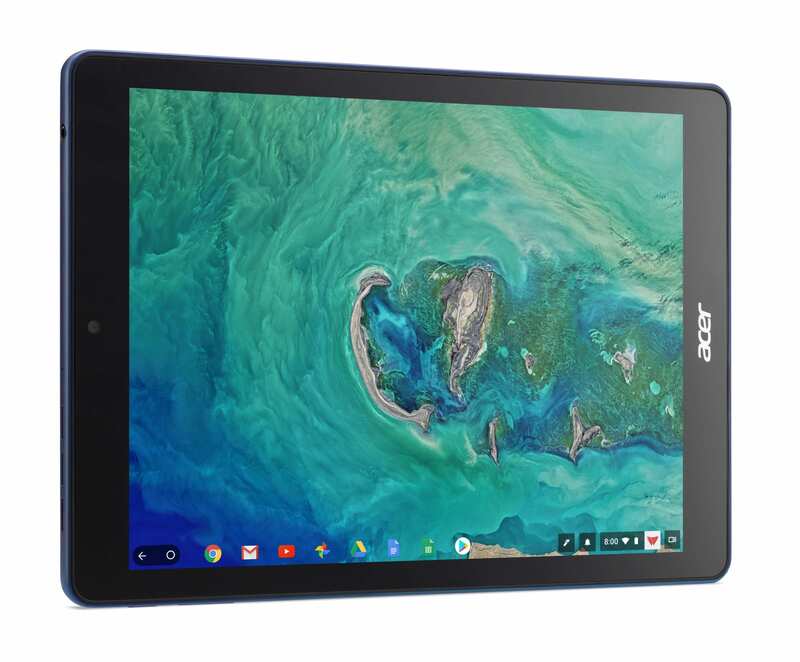 The Acer Chromebook Tab is lighter, smaller, and carries a slightly smaller resolution. The smaller screen size (9.7-inch vs. 12.3-inch) compared to the Samsung will actually give it a higher PPI, so don’t expect to see any pixels on the screen. It should look fantastic. 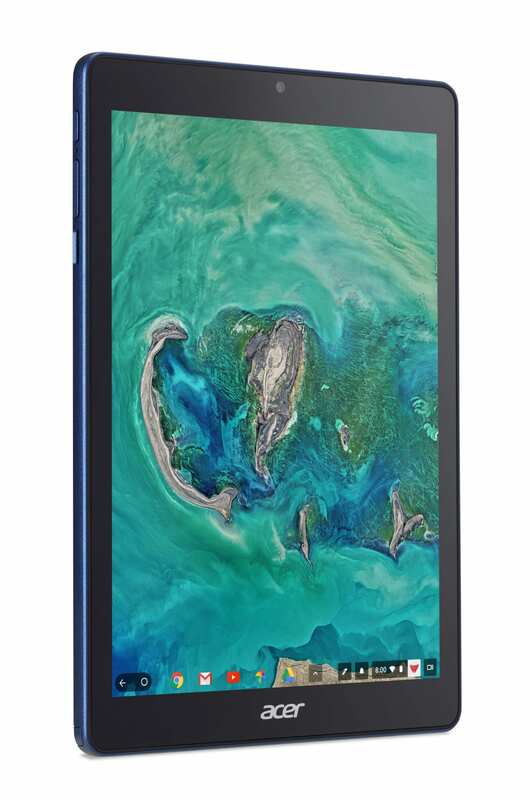 Between the size, display, weight and overall portability on offer here, Acer could have a pretty sweet device on its hands. According to Acer, the Chromebook Tab will be available in the US in April and EMEA in May. The US price will be $329 at launch and €329 (including VAT) when the EMEA release happens in May. Other regions are not spoken for at this point. $329 for a high-res, lightweight, stylus-equipped tablet? 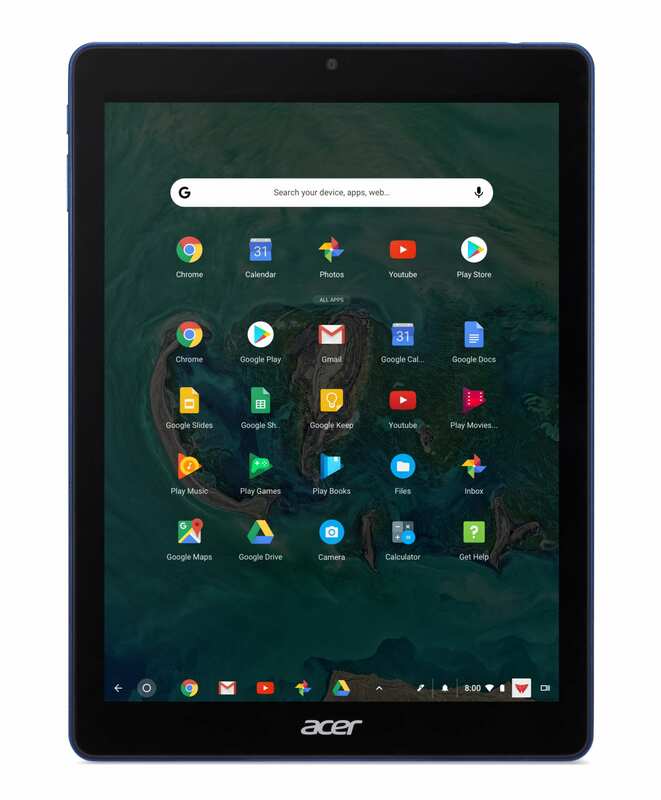 Seems about right for now, but if Apple does what most are expecting this week and launches a sub-$300 iPad, Acer might have to quickly reduce the price of this one to make any dent in the consumer market (if/when Acer begins selling this in standard channels eventually) where iPads completely dominate. 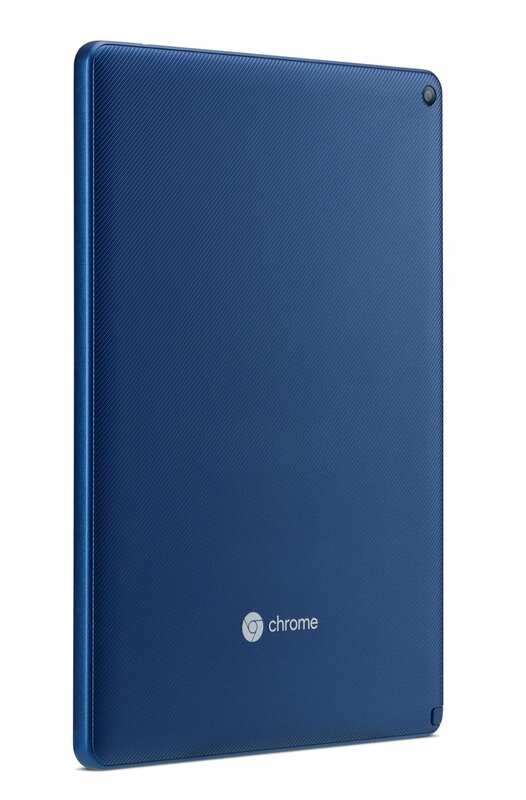 For Chromebook users, the one knock this one will have against it is the lack of integrated keyboard and mouse support. Sure, you can use your favorite peripherals, but there are no keyboard cases available specifically for this device just yet. There are quite a few generic Bluetooth keyboard cases on Amazon, so there will be options: just don’t expect a tailor-made solution for this one. 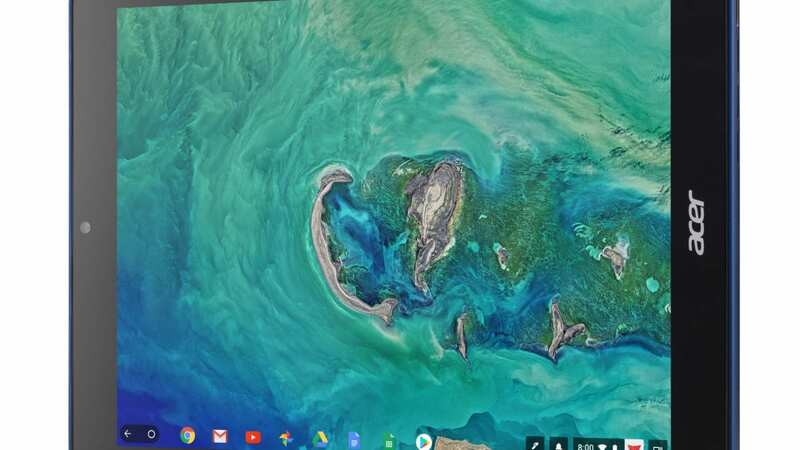 Depending on the use case, using a Chrome OS device as a tablet first could be great. No one has done this yet, so I’ll hold off on commenting until we get a review unit in the office and try it out. All that being said, the device looks great, should perform well, and will likely provide a great fit for younger students who aren’t looking to do a ton of typing. 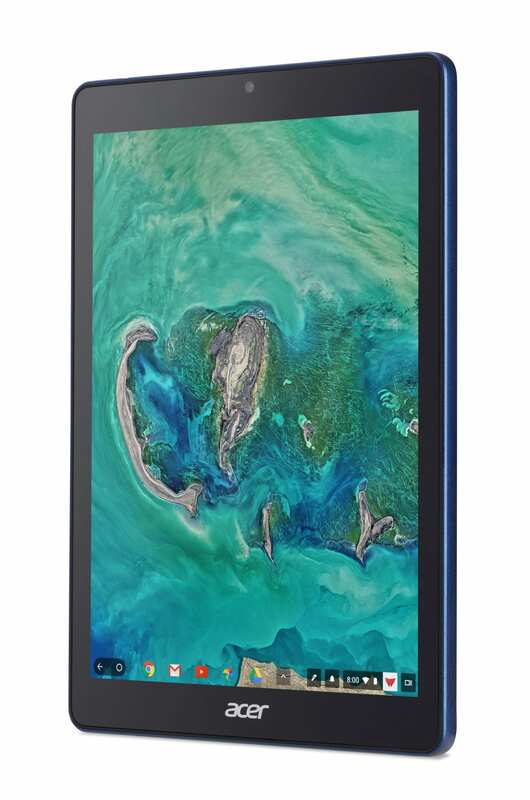 There will probably be a handful of consumers quite interested as well if Acer chooses to push the device into those channels. If that might be you, feast your eyes on the device in the pics below. 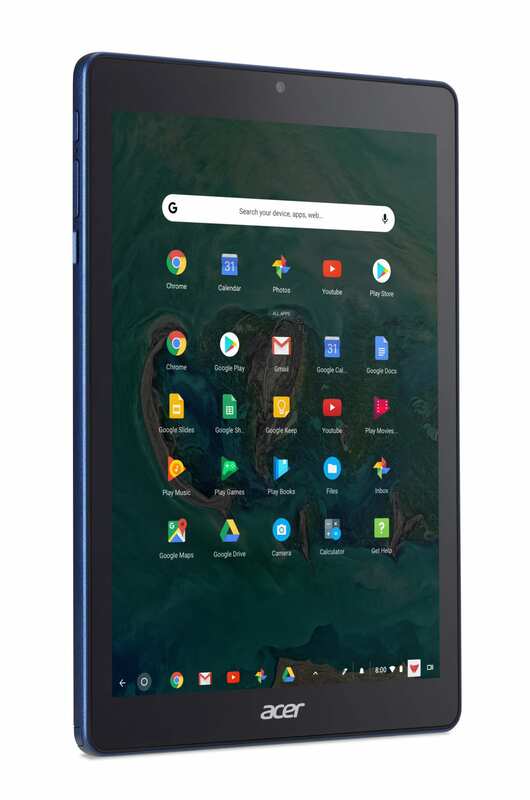 For now, just know that the first Chrome OS tablet is upon us and other tablets and detachables are already waiting in the wings. 2018 is shaping up to be an exciting year!